I am 15 years old and I have been dancing since I was five. I performed in a production for three years in a row from ages 6-9, but I only had a dancing role when I was nine. I loved performing on stage. When I was in 4th grade, I quit dance for a year and tried (and miserably failed) at sports. None of my friends danced and I was desperate to fit in. The next year I took up dance again, but at a different studio. I was en pointe for a year. When I was in seventh grade, I quit again, but still took a jazz class. In 8th-9th grade, I quit dance classes altogether, but continued to dance ballet on my own. Now I have started with yet another company, en pointe, and I am very committed and determined to pursue a career in dance. It is the only thing I have a real passion for. It is my goal to major in ballet in college, but would they look at my history and reject me? Since I am fifteen, is it too late? Also, could you give me a list of some colleges specifically for ballet or some that have a good ballet program? Thank you so much! Thank you for your message, it is great you have got in touch with me. 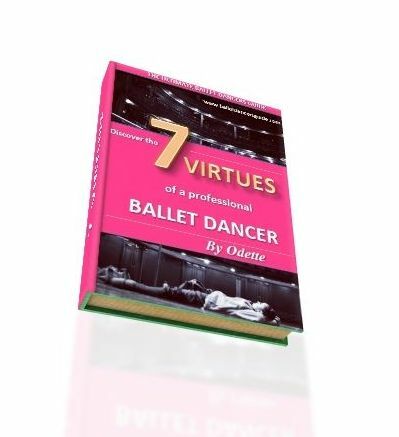 I see that you have stopped and started ballet a few times, but it mainly depends on the standard and strength you have gained from your ballet training so far on whether you could pursue a career in dance. but the ability you have set up now will determine how quickly you can progress to reach the standards of a professional dancer. The standard is very high, with young dancers competing from all over the world. The ballet companies won't focus as much on your history as how much you present yourself to them in that current moment. When ballet dancers are creating their resume they do write down all their training, performance and experience. It obviously goes in your favor to have had consistent training at a well-known ballet school, however, this will not give you such an advantage that it gets you a job easily. It is more important to be at a good enough standard for ballet directors to consider you a professional and believe in your ability. These are names of dominant ballet companies which all have an associate ballet school for young dancers to train. If you want to see more, then take a look at my Ballet Companies page. It would take a lot of work to reach the standards to be accepted into these training schools but the first step for any aspiring, young dancer is to find regular ballet classes wherever you can. You need to work regularly and consistently to build the strength for ballet. Then, if you have the ability for more you can take auditions for vocational dance schools. Take some time to reflect on your personal options and try to evaluate yourself to see which next step you need to take.